Dal over at Asterisk VoIP News forwarded me an interesting link last week on a project he's been working on that creates a gateway between Skype and Asterisk or any SIP-based client. As most techies know, Skype uses a proprietary protocol and does not support inbound SIP calls. If you ask Skype CEO, Niklas Zennstrom why Skype chose their own proprietary protocol, (which many reporters have asked him), he always gives the same canned reply - that they chose their own proprietary protocol because SIP doesn't do everything they need, SIP has issues traversing firewalls, our proprietary protocol is more flexible, blah blah blah. Even though there are now NAT traversal solutions for SIP that perhaps didn't exist a couple of years ago, Skype still hasn't moved to SIP and it doesn't look like they will. Certainly now Skype has little to no incentive to move to SIP since they are "top dog" in VoIP and would probably rather have their own "VoIP walled garden" to keep competitors out and also force their customer base to use their revenue-generating SkypeOut service. 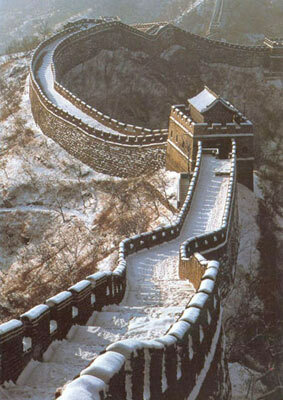 Well, according to Asterisk VoIP News, Skype's Great Wall of VoIP has been cracked! Asterisk VoIP News then goes on to explain that there is a softwarel program called "PSGW" (http://www.rsdevs.com/) which runs on Windows and does SIP to Skype conversion. (Dal also opines that there should be a Linux port of PSGW.) According to Asterisk VoIP News, "It uses the Skype API to create calls in both directions, and then uses somewhat of a kludge using software audio "cables" between a SIP/RTP driver system and the Skype API." Essentially, you can use an Asterisk box for your call routing and PBX functionality and use the Skype network for termination. John Todd, a networking and VoIP consultant, specializing in Asterisk implementations, who claims to never sleep, told me that the system can work "standalone" without Asterisk of course, but Asterisk makes it much more useful since Asterisk has powerful dialplan capabilities that enable you to do Skype mappings inside your dialplan without having to remember complex dial strings. John also said, "Plus, limiting the SIP calls from a single IP address (your Asterisk server) is a heck of a lot more secure than leaving it 'wide open' which is the only other alternative right now." 2) The call is routed to the tmcnet.com firewall or SIP proxy with port 5060 mapped to a PC running Skype and the PSGW software. 4) The PSGW then “bridges” the audio from the Skype leg of the call with the SIP leg of the call. There are many interesting possibilities and uses for this. Maybe I'll see if I can get a demo copy of PSGW and try it myself. If anyone else tries the $29 PSGW software, let me know what you think and what interesting applications you use it for. There are many interesting possibilities and uses for this. Maybe I'll see if I can get a demo copy of PSGW and try it myself. If anyone else tries the \$29 PSGW software, let me know what you think and what interesting applications you use it for.